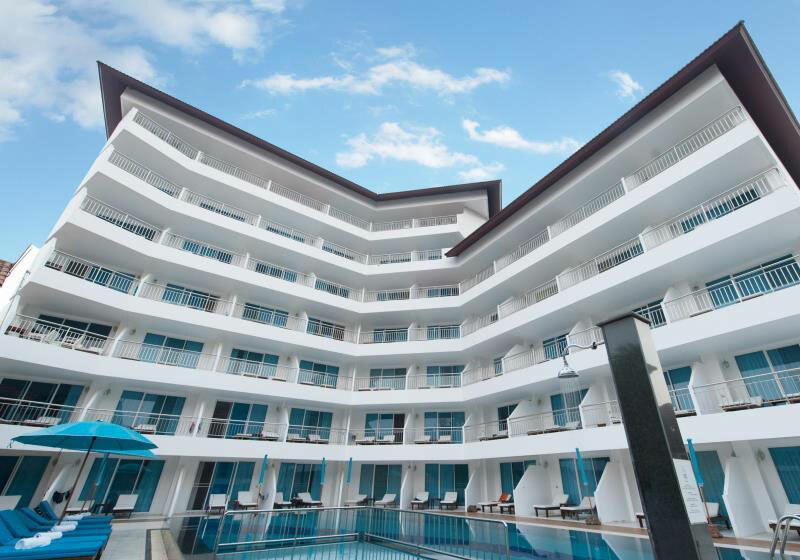 Beside full amenities in all comfortable room types, Pinnacle Grand Jomtien Resort offers facilities that suit everyone’s needs for a beach vacation eg. numerous swimming pools, water sport and fitness areas, traditional Thai massage treatment, meeting facilities, family friendly playground, etc. Next to our resort are famous restaurants located within walking distance along the beach. In addition, our shuttle service is available for your convenient access to nearby attractions and downtown Pattaya City. Visit us here on Na Jomtien Beach and discover why Pinnacle Grand Jomtien Resort has always been known as one of the favorite destinations on our travelers’ list of luxury yet affordable Thailand beach resorts for families with kids. Short Description: Pinnacle Grand Jomtien Resort is a private scenic beach resort in Thailand located in a charming tropical garden on quiet Na Jomtien Beach, yet near the festivities of Pattaya City. The low-rise landscape and sprawling natural greenery promise to instill a sense of coziness the moment you walk in.